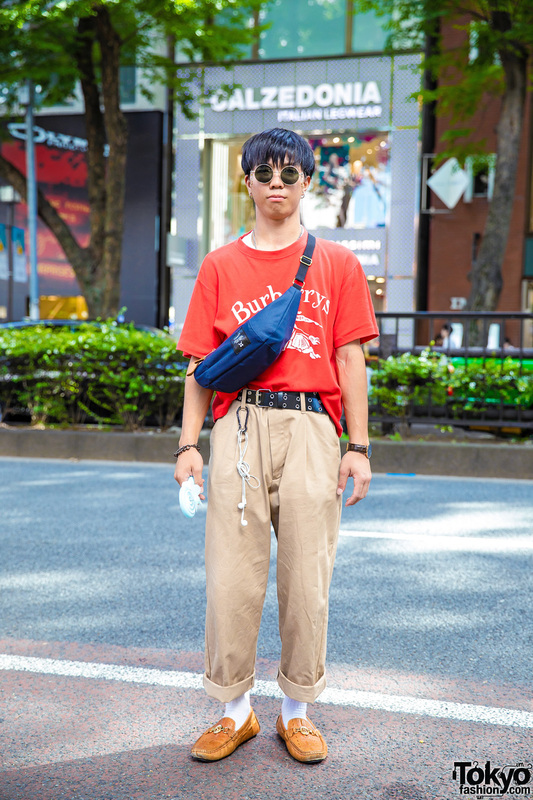 Harajuku guy wearing a red T-shirt, tan pants, and brown leather loafers. 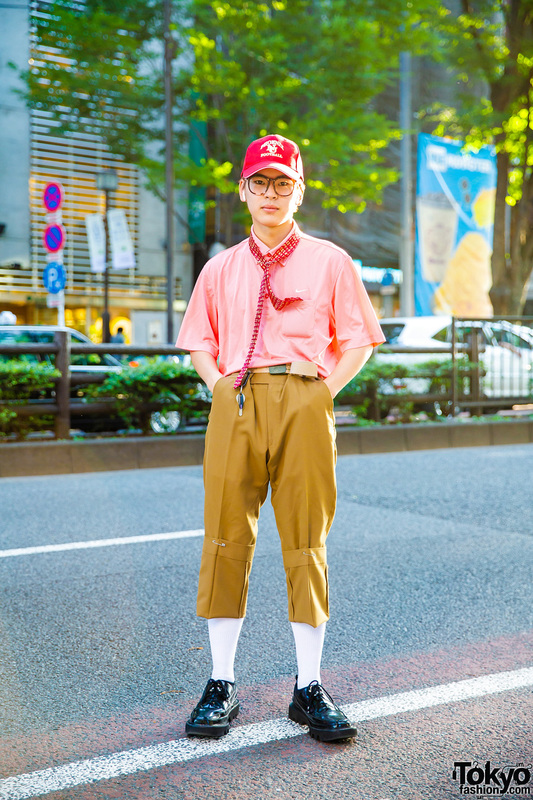 Harajuku guy wearing a red cap, a pink striped shirt, tan pants, and black leather lace-up shoes. 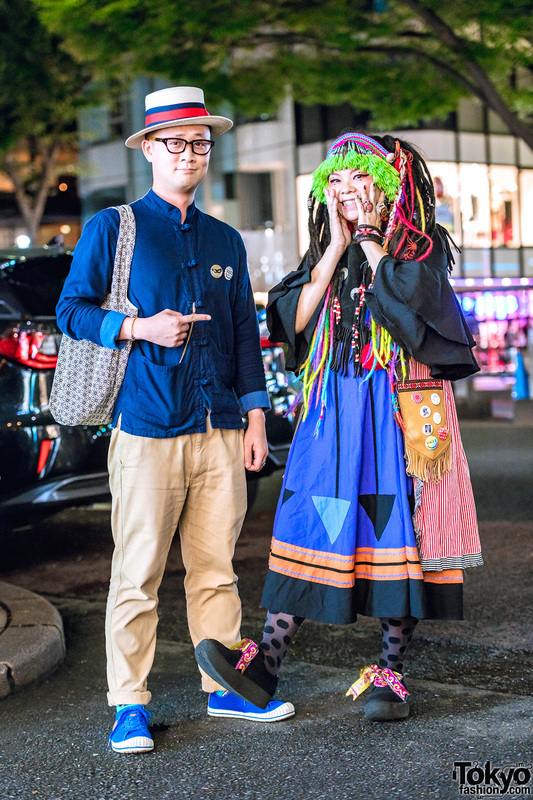 Harajuku guy wearing a white graphic sweatshirt and vintage tan pants. Harajuku girl with a bob hairstyle and motorcycle jacket worn draped over he shoulders.